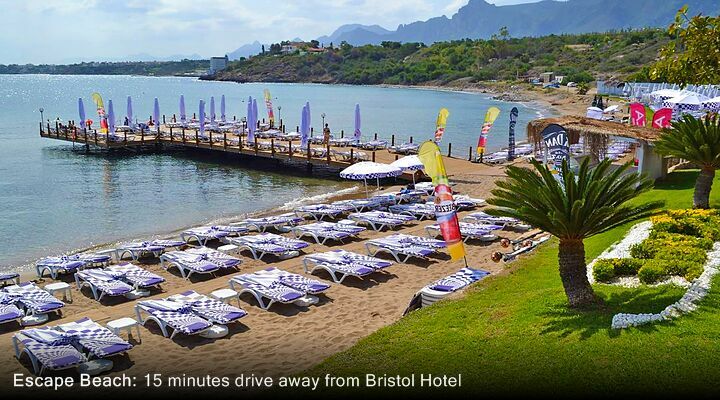 If you want to stay in the heart of Kyrenia without busting the budget, the Bristol Hotel in Kyrenia is ideal. 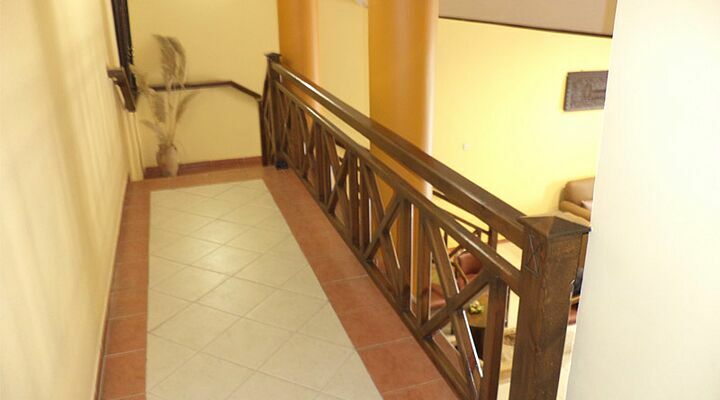 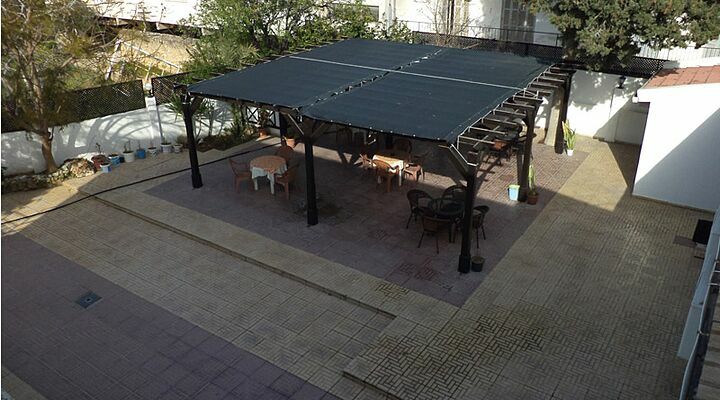 With its own sunny courtyard and bar, it’s surprisingly spacious and a perfect place for a weekend break or winter stay. 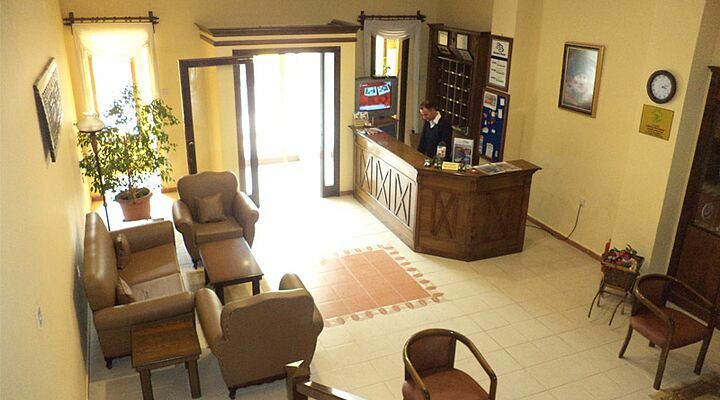 From the moment you walk into the wood-panelled lobby of this friendly 3 star budget hotel in the heart of Kyrenia, you’ll see everything is, well, shipshape and Bristol fashion! 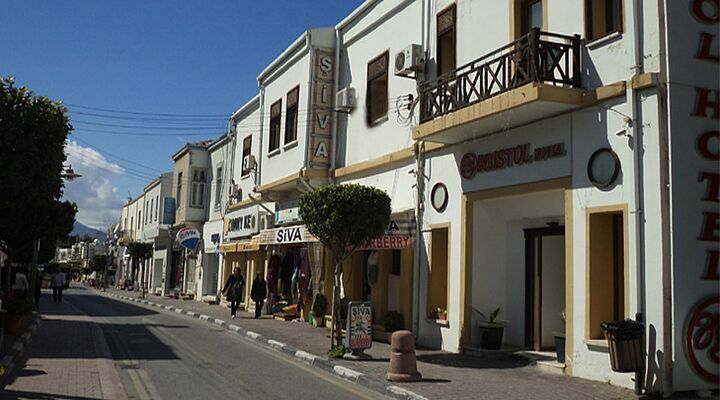 With a welcome as warm as the North Cyprus sun, the Bristol Hotel is an ideal base for exploring Kyrenia’s sights and shopping. 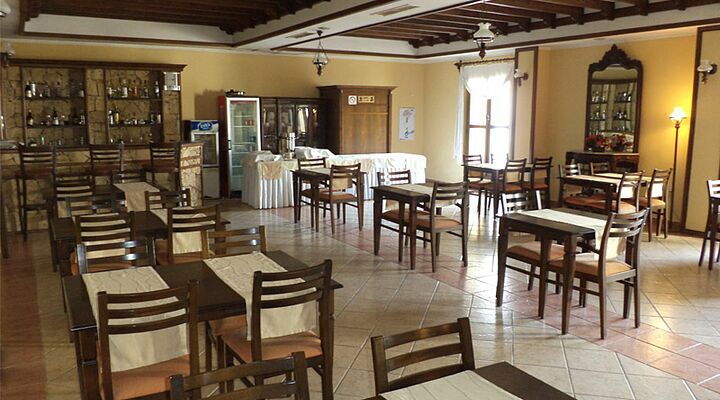 Start your day with breakfast either in the hotel’s wooden beamed dining area or out in the shady courtyard, enjoying the sounds of Kyrenia waking up to another day of glorious North Cyprus sunshine. 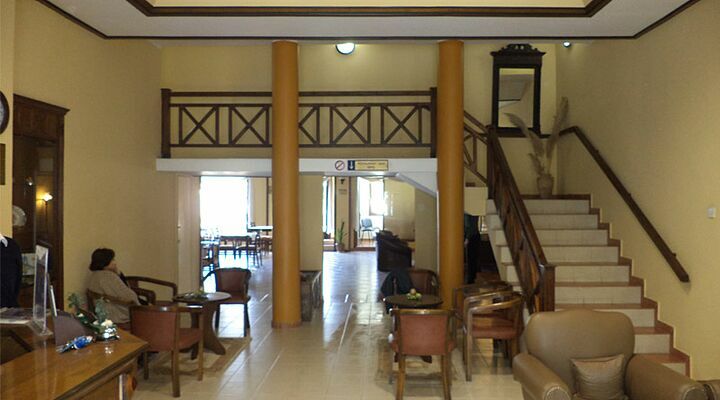 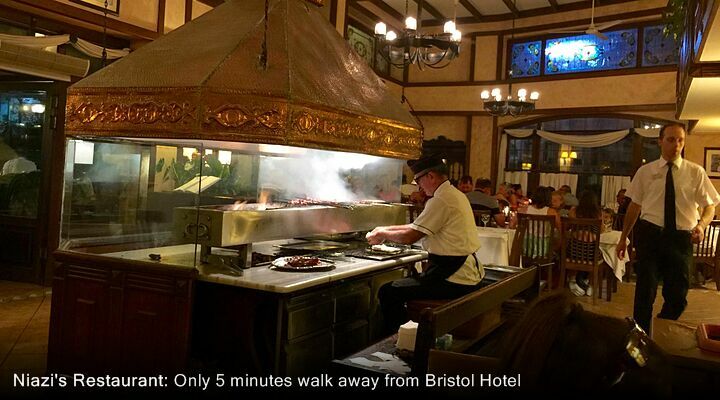 Or return from a busy day exploring to a relaxing drink at the bar before dinner in a local restaurant. 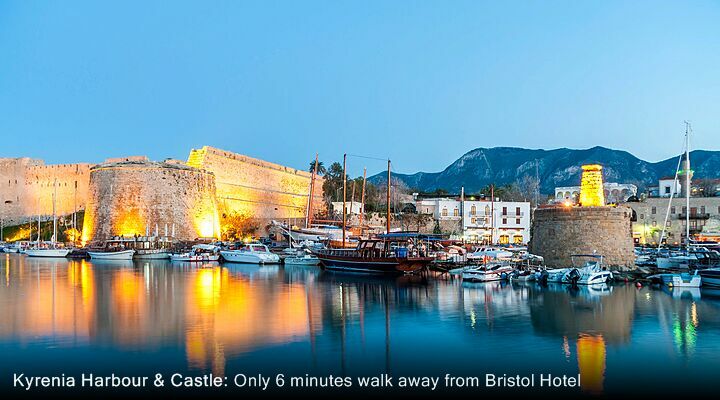 No need for a taxi back from dinner either - Kyrenia’s historic harbour and restaurants are just a short stroll away. 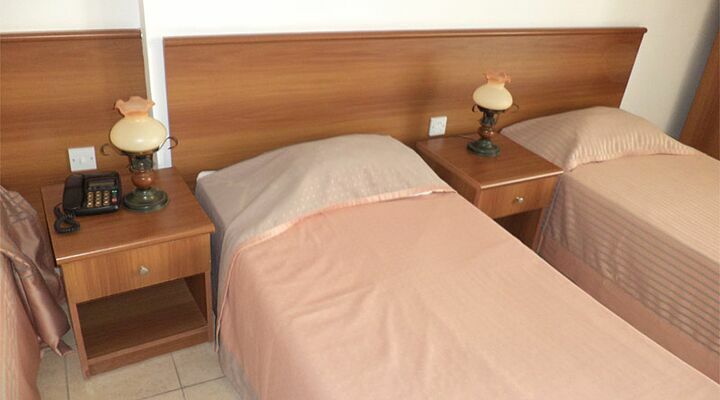 The rooms at the Bristol Hotel are functional rather than elegant, with the basics you need for a good night’s sleep, including an en-suite bathroom, a small TV, and simple furnishings. 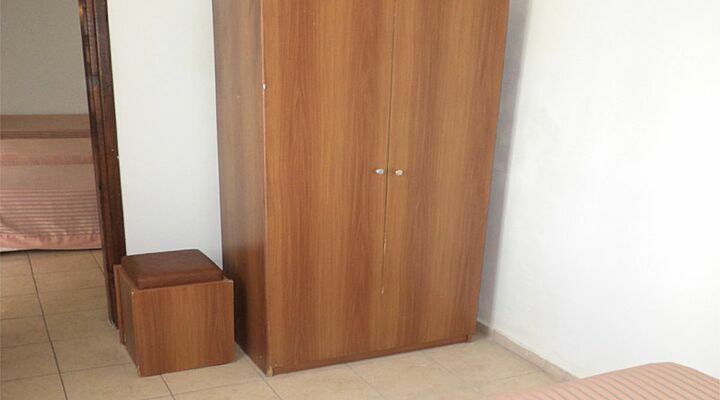 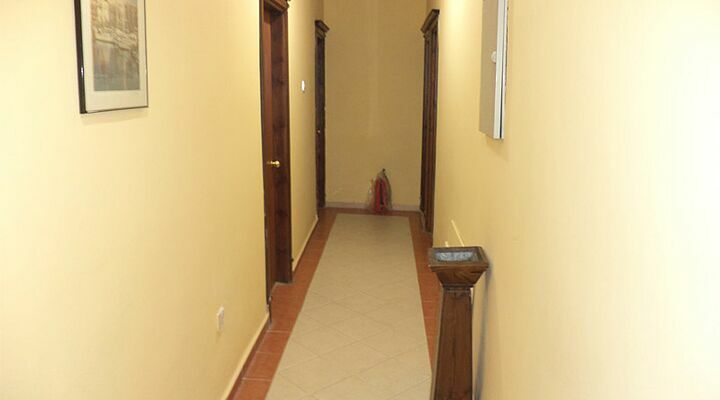 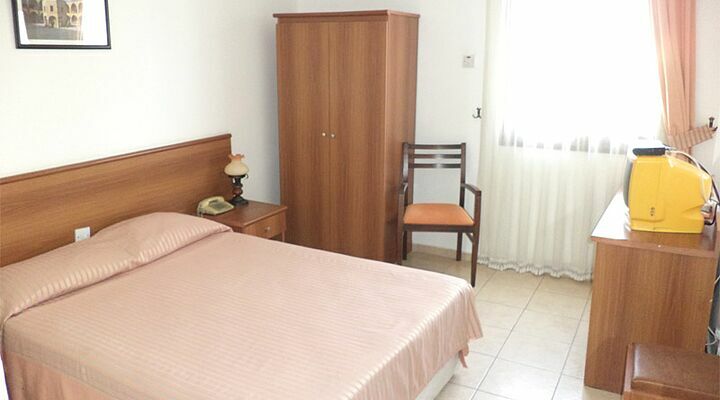 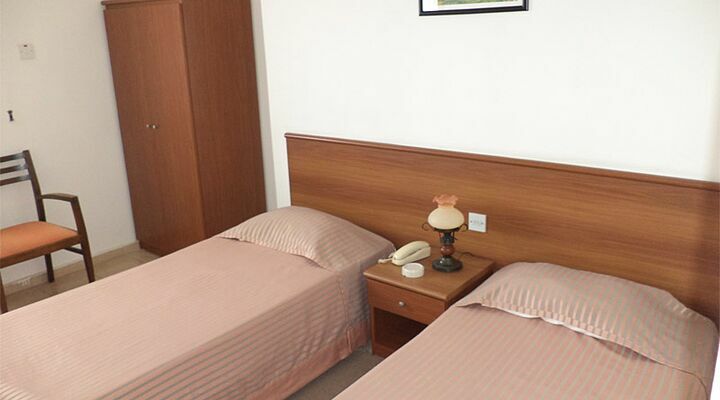 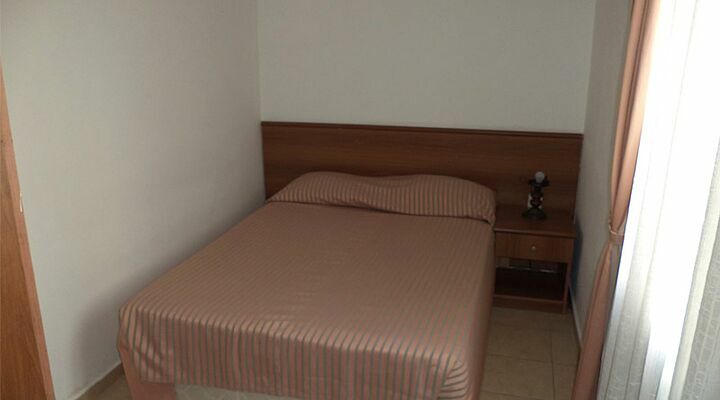 It’s undeniably a budget hotel room at a budget price, but it’s the location you’ve come to enjoy after all, with the bustle of Kyrenia town just outside the front door. 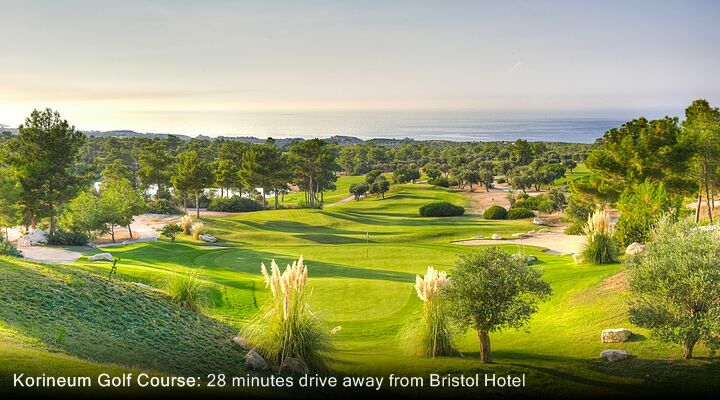 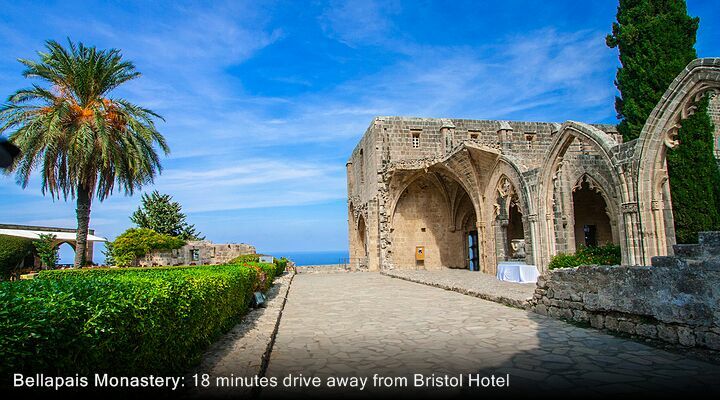 Book your next North Cyprus city break at the 3 star Bristol Hotel with Go North Cyprus. 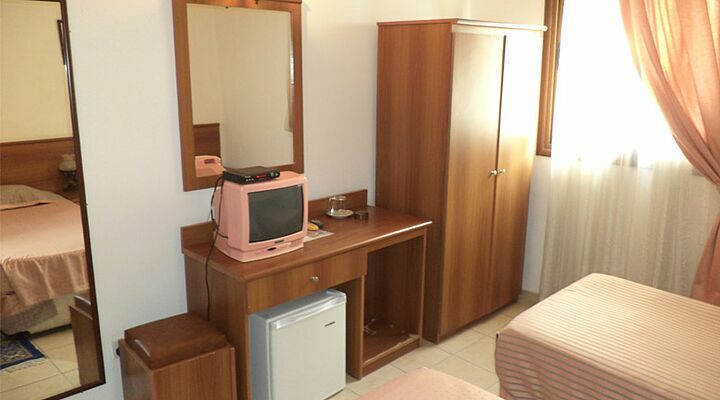 Call us on 0800 612 6600 - we're always happy to help. 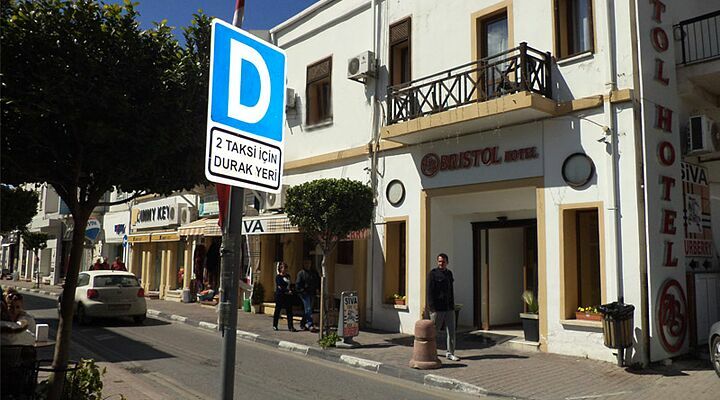 Stroll out of the front door of the Bristol Hotel and enjoy the sights and sounds of Kyrenia. 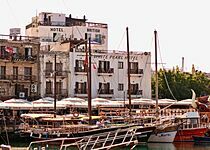 Wander down to the historic harbour, explore the mighty castle, and enjoy a lunch at one of Kyrenia’s many harbourside restaurants. 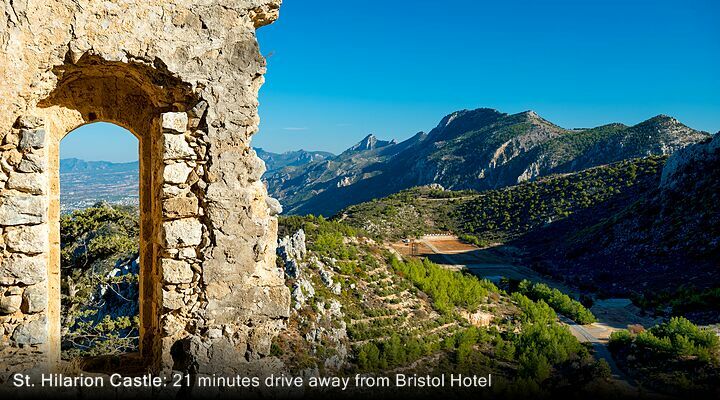 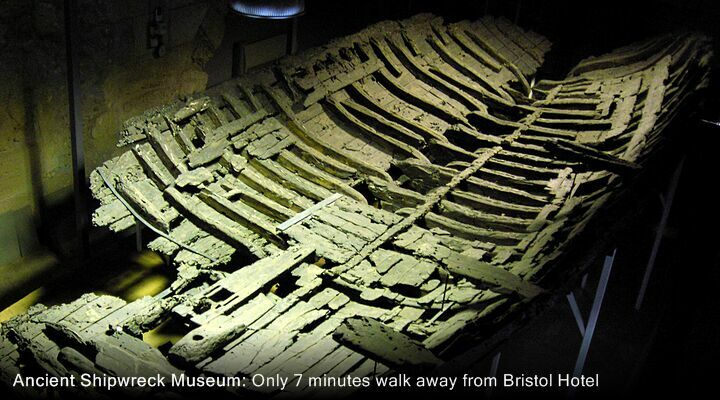 The medieval backstreets and shopping area just a few metres from your hotel front door. 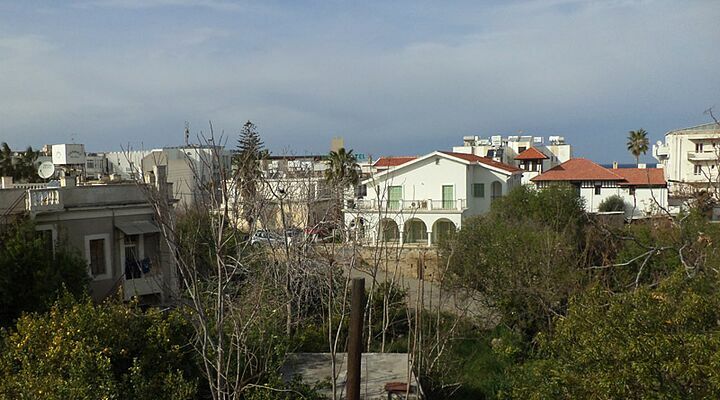 In the evenings, join Kyrenia’s residents for drinks in the lively local bars, a great way to meet North Cypriots. 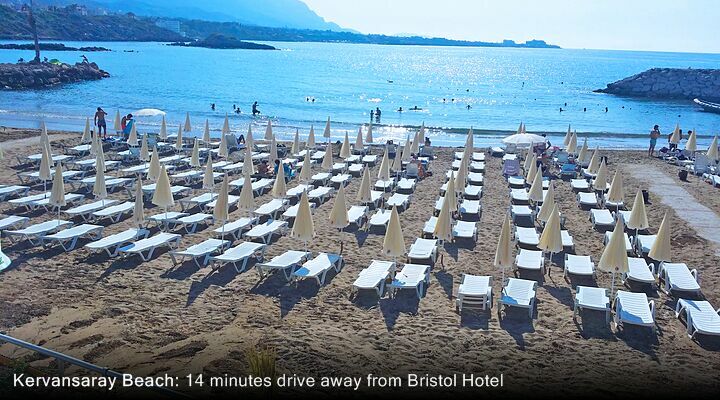 There are several great beaches within easy bus ride of the Bristol Hotel in Kyrenia. 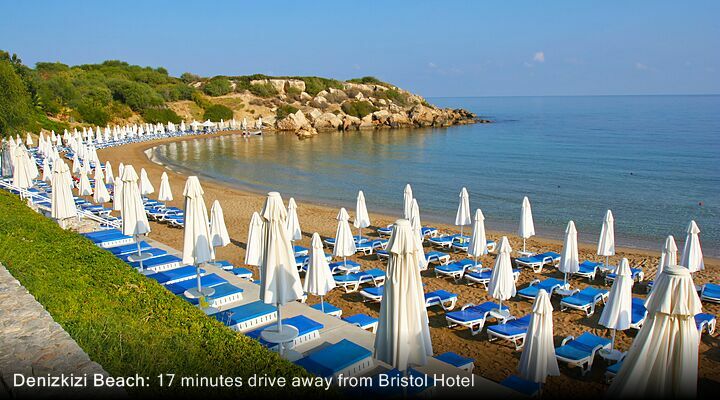 Hop on a local bus (dolmos) and head west to discover the beaches of Karaoglanoglu, for a relaxing day by the sparkling Mediterranean Sea. 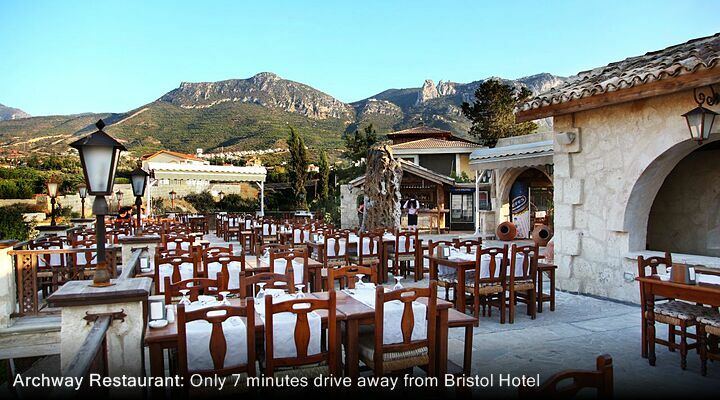 Arrive at Ercan International Airport, enjoy a scenic drive in your private taxi transfer, and you could be checking in to the Bristol Hotel in as little as 60 minutes from landing on your North Cyprus flight. 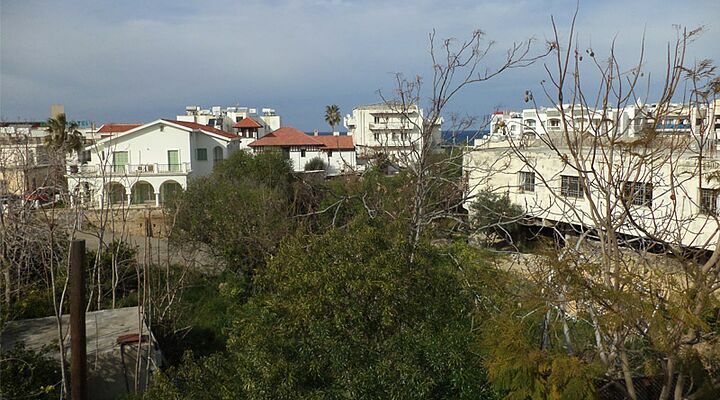 A great way to start your North Cyprus holiday!